I only had 120 km to Hanoi. Most of it was surprisingly rural, considering how close to the capital I was. I went up mountains, and past fields and limestone cliffs. The fields grew corn and vegetables, not rice. It was cold on my motorbike, and I shivered. It was not an enjoyable ride. And it wasn’t that scenic. I only took one picture. The final stretch was on dusty roads full of trucks. 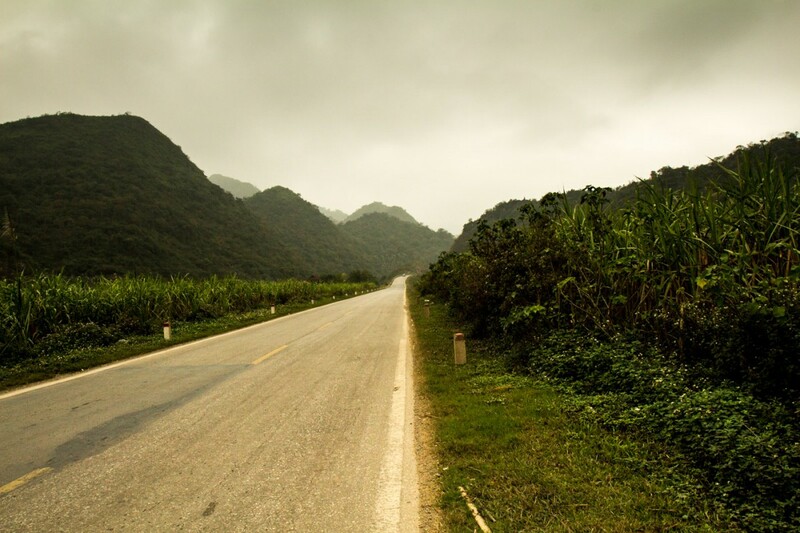 The road became a wide avenue going into Hanoi. Traffic was light, but people drove like idiots, cutting me off frequently. I made it to the maze of the Old Quarter, and checked into my hotel. My ride across Vietnam had come to a successful conclusion. Now I had to go back to Saigon. The long way. Through Laos.